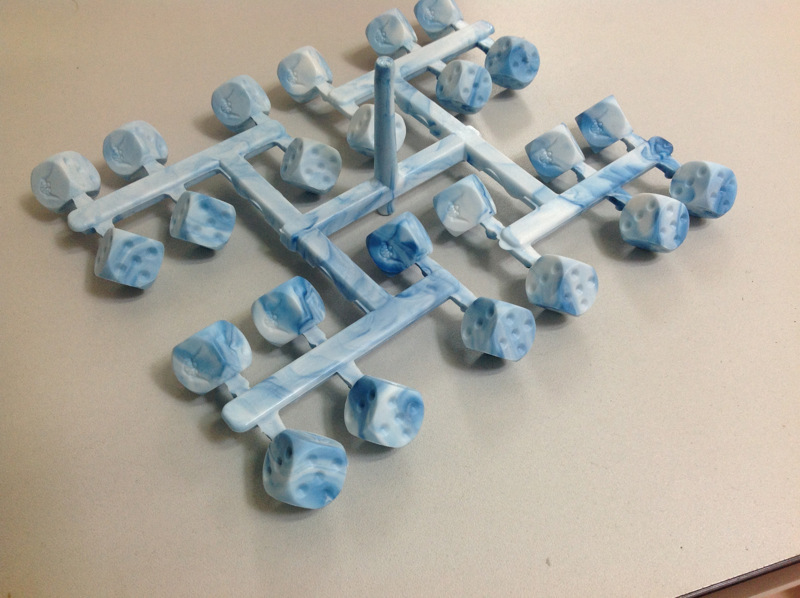 Daily Illuminator: Munchkin Pathfinder Dice In China! 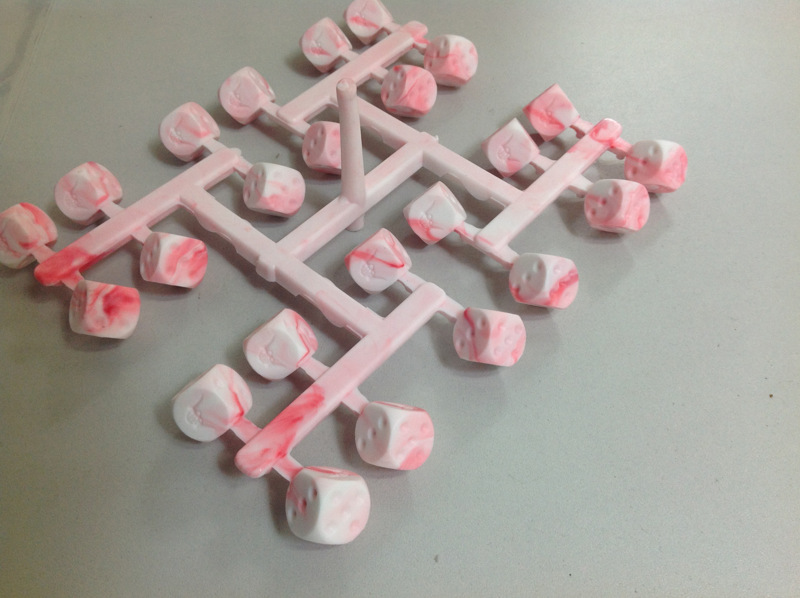 August 2, 2013: Munchkin Pathfinder Dice In China! Sam and I visited the plastics factory where we had a chance to see many, many games in production. While walking through the tooling department, we ran across two sprues of tests they ran a few months ago when the Munchkin Pathfinder d6 was being designed. Look closely at the photos to catch the goblin head that replaces the Munchkin on this new die design. Yes, we created an entirely new d6 for Munchkin Pathfinder. Later, after exploring the injection and compression machines, we ran across thousands of Munchkin Pathfinder dice in the inking room. 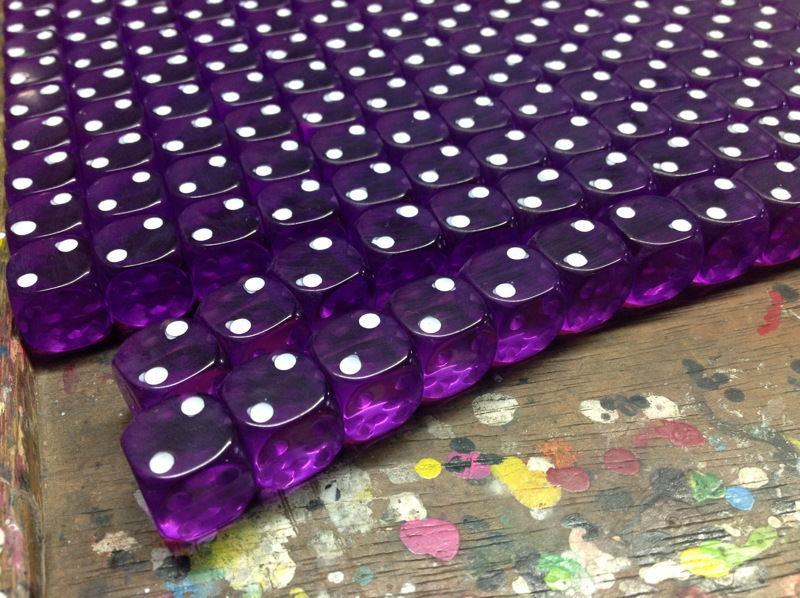 That translucent purple d6 turned out amazing and I loved seeing them work on so many of the dice. If you're at Gen Con make sure to swing by early; we will have a limited number of copies for sale. It's now time for the visit to the primary printing and assembly factory. We get to check out thousands of Ogres preparing for their long journey to America. And no, I cannot bring your copy back with me; it won't fit in the overhead compartment!